Heading North on US Hwy 19, turn Left at N. Citrus Ave. 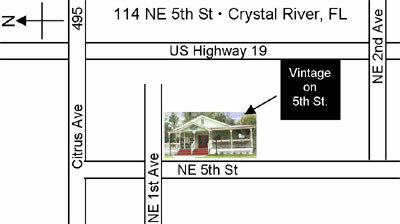 Turn Left 1 Block on NE 5th St. We are the Second Building on the Right, Directly behind the Watertower. There is a Public Parking Area Across the Street.